In this world we live in we have questions about certain things. In this book you can find all the answers. 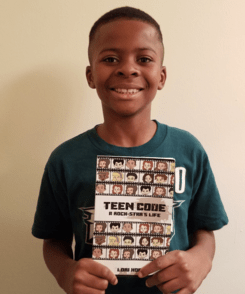 Teen code is an excellent book filled with great advice on how to deal with school, love, and friendships. 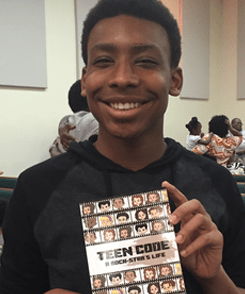 It shows young adults that they are not alone and there are many teenagers going through the same thing. 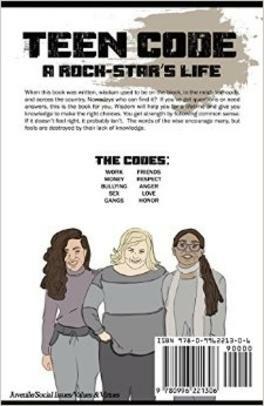 I recommend this book to any teen that is in a need of guidance. 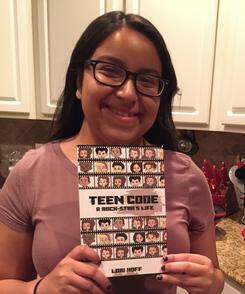 I thought that Teen Code by my auntie was helpful and let me know what to do and what not to do. It help me understand that anger and bullying is definitely wrong. 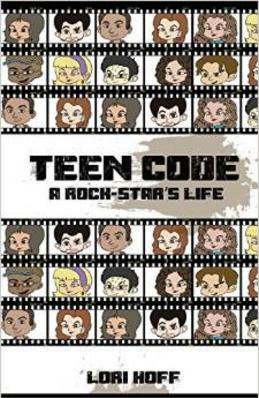 It is a good book for advice for younger and older teens alike.